Its nearly 1 am. I am tired! I almost forgot about fabric Tuesday! You guys are the best. I look through each and every feature, I don't comment much, but look at them all. Thanks for joining in each week. I have just picked out a few as I am about to pass out. Here you go! From Tanya Quilts. All the apples! Adorable doggies!!!! from A quilting Chick. Too cute! 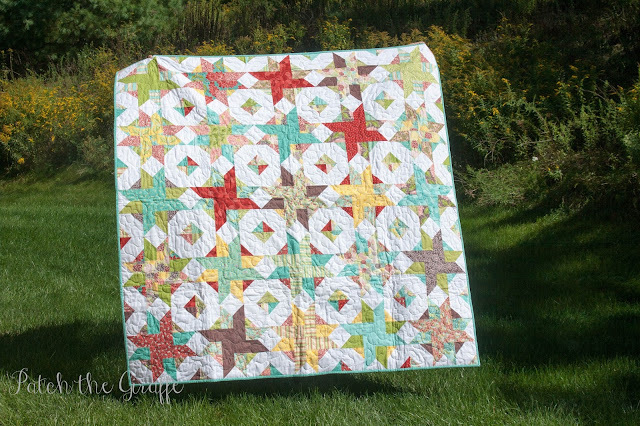 Pinwheels from Patch the Giraffe! Cute! Can't see your retreat pics :( I tried reloading the page. Hope you had a great time! 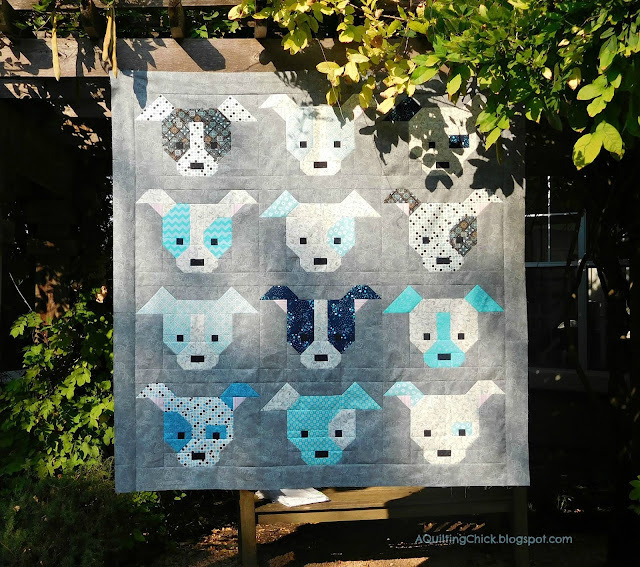 :) Thanks so much for sharing my dog quilt!! Nice puppies. You should write an essay about this and post it here. Great!